Nationality: noun and adjective: Lebanese (singular and plural). Education: Years compulsory: 8. Attendance — 99%. Literacy (2007 est.) — 89.6%; 93.4% male, 85.96% female. Health (2009 est. ): Infant mortality rate — 11.1/1,000. Life expectancy — 72; 70 male, 74 female. Branches: Executive: president (chief of state), prime minister (head of government), deputy prime minister, cabinet. Legislative — unicameral national assembly. Judicial — four Courts of Cassation, Constitutional Council, Supreme Council. Agriculture: Products: citrus, grapes, tomatoes, apples, vegetables, potatoes, olives, tobacco; sheep, goats. Arable land (2008) — 14.1%. Industry: Types: banking, tourism, food processing, jewelry, cement, textiles, mineral and chemical products, wood and furniture products, oil refining, metal fabricating. Trade: Exports: $4.253 billion (2010, f.o.b. ): authentic jewelry, electrical equipment and products, base metals, food products, chemicals products, paper and paper products. Major markets — Switzerland, U.A.E., France. Imports — $17.964 billion (2010, f.o.b. ): mineral products, electrical equipment and products, transport vehicles, chemical products, metal and metal products, food products, medicinal products, clothing, meat and live animals, consumer goods, tobacco. Major suppliers — U.S., China, Italy. 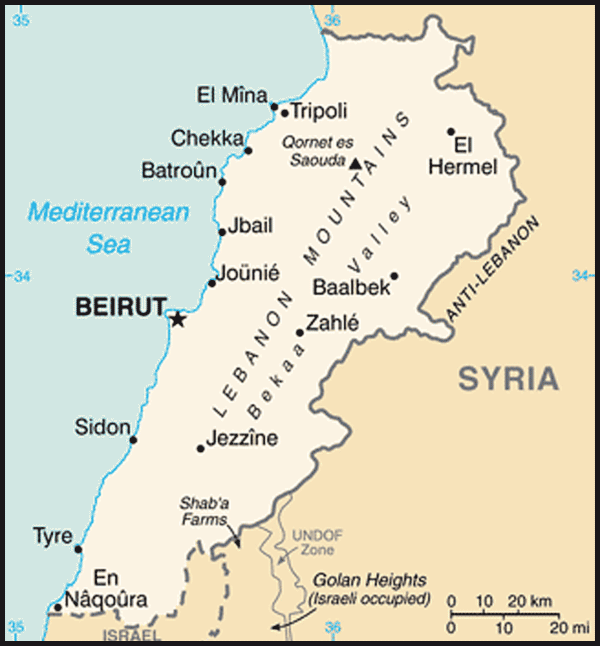 The population of Lebanon comprises 18 sects including Christians, Muslims, and Druze. No official census has been taken since 1932, reflecting the political sensitivity in Lebanon over confessional (religious) balance. While there is no consensus over the confessional breakdown of the population for this reason, it is safe to say that the Muslim sects as a whole make up a majority, and that Shia, Sunnis, and Maronites are the three largest groups. About 400,000 Palestinian refugees, some whose families have been in Lebanon since 1948, are registered with the United Nations Relief and Works Agency (UNRWA). They are not accorded the civil and legal rights enjoyed by the rest of the population and are not allowed access to public education or health or social services. As a result, the majority of Palestinian refugees in Lebanon rely entirely on UNRWA as the sole provider of education and health, relief, and social services. UNRWA's operations in the 12 official refugee camps in Lebanon face a number of challenges, including crumbling infrastructure, overcrowded housing, poverty, systemic unemployment, and a higher percentage of registered special hardship cases than any other field. With no official figures available, it is estimated that 600,000-900,000 persons fled the country during the initial years of civil war (1975-76). Although some returned, continuing conflict through 1990 as well as after the 2006 war sparked further waves of emigration, casting even more doubt on population figures. As much as 7% of the population was killed during the civil war between 1975 and 1990. Approximately 17,000-20,000 people are still missing or unaccounted for from the civil war period. Many Lebanese still derive their living from agriculture. The urban population, concentrated mainly in Beirut and Mount Lebanon, is noted for its commercial enterprise. A century and a half of migration and return have produced Lebanese commercial networks around the globe — from North and South America to Europe, the Gulf, and Africa. Lebanon has a high proportion of skilled labor compared with many other Arab countries. In the early 1970s, difficulties arose over the presence of Palestinian refugees, many of whom arrived after the 1967 Arab-Israeli war, the secret 1969 Cairo Agreement permitting the establishment of Palestinian camps in Lebanon, and 1970 "Black September" hostilities in Jordan. Among the 1970 arrivals were Yasser Arafat and the Palestinian Liberation Organization (PLO). Coupled with the Palestinian problem, Muslim and Christian differences grew more intense. After a PLO attack on a bus in northern Israel and Israeli retaliation that caused heavy casualties, Israel invaded Lebanon in March 1978, occupying most of the area south of the Litani River. In response, the UN Security Council passed Resolution 425 calling for the immediate withdrawal of Israeli forces and creating the UN Interim Force in Lebanon (UNIFIL), charged with maintaining peace. Israeli forces withdrew later in 1978, turning over positions inside Lebanon along the border to their Lebanese ally, the South Lebanon Army (SLA) under the leadership of Maj. Saad Haddad, thus informally setting up a 12-mile wide "security zone" to protect Israeli territory from cross border attack. In August 1982, U.S. mediation resulted in the evacuation of Syrian troops and PLO fighters from Beirut. The agreement also provided for the deployment of a multinational force composed of U.S. Marines along with French and Italian units. A new President, Bashir Gemayel, was elected with acknowledged Israeli backing. On September 14, however, he was assassinated. The next day, Israeli troops crossed into West Beirut to secure Muslim militia strongholds and stood aside as Lebanese Christian militias massacred almost 800 Palestinian civilians in the Sabra and Shatila refugee camps. Israel's then-Minister of Defense Ariel Sharon was held indirectly responsible for the massacre by the Kahane Commission and later resigned. With U.S. backing, Amine Gemayel, chosen by the Lebanese parliament to succeed his brother as President, focused anew on securing the withdrawal of Israeli and Syrian forces. The multinational force returned. It also saw the rise of radicalism among a small number of Lebanese Muslim factions who believed that the successive Israeli and U.S. interventions in Lebanon were serving primarily Christian interests. It was from these factions that Hizballah emerged from a loose coalition of Shia groups. Hizballah employed terrorist tactics and was supported by Syria and Iran. Between 1985 and 1989, factional conflict worsened as various efforts at national reconciliation failed. Heavy fighting took place in the "War of the Camps" in 1985 and 1986 as the Shia Muslim Amal militia sought to rout the Palestinians from Lebanese strongholds. The Amal movement had been organized in mid-1975, at the beginning of the civil war, to confront what were seen as Israeli plans to displace the Lebanese population with Palestinians. (Its charismatic founder Imam Musa Sadr disappeared in Libya 3 years later. Its current leader, Nabih Berri, is the Speaker of the National Assembly.) The combat returned to Beirut in 1987, with Palestinians, leftists, and Druze fighters allied against Amal, eventually drawing further Syrian intervention. Violent confrontation flared up again in Beirut in 1988 between Amal and Hizballah. The Taif Agreement of 1989 marked the beginning of the end of the war. In January of that year, a committee appointed by the Arab League, chaired by Kuwait and including Saudi Arabia, Algeria, and Morocco, had begun to formulate solutions to the conflict, leading to a meeting of Lebanese parliamentarians in Taif, Saudi Arabia, where they agreed to the national reconciliation accord in October. Returning to Lebanon, they ratified the agreement on November 4 and elected Rene Moawad as President the following day. Moawad was assassinated in a car bombing in Beirut on November 22 as his motorcade returned from Lebanese Independence Day ceremonies. Elias Hrawi, who remained in office until 1998, succeeded him. In August 1990, parliament and the new President agreed on constitutional amendments embodying some of the political reforms envisioned at Taif. The National Assembly expanded to 128 seats and was divided equally between Christians and Muslims (with Druze counted as Muslims). In March 1991, parliament passed an amnesty law that pardoned all political crimes prior to its enactment. The amnesty was not extended to crimes perpetrated against foreign diplomats or certain crimes referred by the cabinet to the Higher Judicial Council. In May 1991, the militias (with the important exception of Hizballah and Palestinian militias) were dissolved, and the Lebanese Armed Forces began to slowly rebuild itself as Lebanon's only major nonsectarian institution. In all, it is estimated that more than 100,000 were killed, and another 100,000 left handicapped, during Lebanon's 15-year civil war. Up to one-fifth of the pre-war resident population, or about 900,000 people, were displaced from their homes, of which perhaps a quarter of a million emigrated permanently. The last of the Western hostages taken during the mid-1980s were released in May 1992. Postwar social and political instability, fueled by economic uncertainty and the collapse of the Lebanese currency, led to the resignation of Prime Minister Omar Karami in May 1992, after less than 2 years in office. Former Prime Minister Rashid al Solh, who was widely viewed as a caretaker to oversee Lebanon's first parliamentary elections in 20 years, replaced him. By early November 1992, a new parliament had been elected, and Prime Minister Rafik Hariri had formed a cabinet, retaining for himself the finance portfolio. The formation of a government headed by a successful billionaire businessman was widely seen as a sign that Lebanon would make a priority of rebuilding the country and reviving the economy. Solidere, a private real estate company set up to rebuild downtown Beirut, was a symbol of Hariri's strategy to link economic recovery to private sector investment. After the election of then-commander of the Lebanese Armed Forces Emile Lahoud in 1998, following Hrawi's extended term as President, Salim al-Hoss again served as Prime Minister. Hariri returned to office as Prime Minister in November 2000. Although problems with basic infrastructure and government services persist, and Lebanon is now highly indebted, much of the civil war damage was repaired throughout the country, and many foreign investors and tourists returned. On June 16, 2000, the UN Security Council adopted the report of the Secretary General verifying Israeli compliance with UN Security Council Resolution 425 (1978) and the withdrawal of Israeli troops to their side of the demarcated Lebanese-Israeli line of separation (the "Blue Line") mapped out by UN cartographers. (The international border between Lebanon and Israel is still to be determined in the framework of a peace agreement.) In August 2000, the Government of Lebanon deployed over 1,000 police and soldiers to the former security zone, but Hizballah also maintained observation posts and conducted patrols along the Blue Line. While Lebanon and Syria initially agreed to respect the Blue Line, both since have registered objections and continue to argue that Israel has not fully withdrawn from Lebanese soil. As regional tension escalated with the Palestinian intifada in September 2000, Hizballah cited Blue Line discrepancies when it reengaged Israel on October 7, taking three Israeli soldiers captive in an area known as Shebaa Farms. (In 2001, the Israeli Government declared the three soldiers were believed to be dead.) Shebaa Farms, a largely unpopulated area just south of the Blue Line opposite the Lebanese town of Sheba'a, was captured by Israel when it occupied Syria's Golan Heights in 1967. The Lebanese Government has repeatedly laid claim to the area since shortly before Israel's general withdrawal. Meanwhile, the Syrian Government has verbally stated that the Shebaa Farms tract is Lebanese, but, as with the rest of the Lebanon-Syria border, has been unwilling to commit to a formal border demarcation in the area. As a result of secret mediation by the German Government, Israel released a number of Lebanese prisoners held by Israel in early 2004 in exchange for Elhanan Tannenbaum, an Israeli reservist abducted by Hizballah in late 2000. In January 2000 the government took action against Sunni Muslim extremists in the north who had attacked its soldiers, and it continues to act against groups such as Asbat al-Ansar, which has been linked to the al-Qaida network, and other extremists. On January 24, 2002, Elie Hobeika, a former Lebanese Forces figure associated with the Sabra and Shatila massacres and who later served in three cabinets and the parliament, was assassinated in a car bombing in Beirut. A September 2004 vote by the Chamber of Deputies to amend the constitution to extend President Lahoud's term in office by 3 years amplified the question of Lebanese sovereignty and the continuing Syrian presence. The vote was clearly taken under Syrian pressure, exercised in part through Syria's military intelligence service, whose chief in Lebanon had acted as a virtual proconsul for many years. Syria, which has historically viewed Lebanon as part of its own territory, has not signed a boundary agreement with Lebanon, although it established full diplomatic relations with Lebanon, including nominating an ambassador to Lebanon, in 2009. The UN Security Council expressed its concern over the situation by passing Resolution 1559, also in September 2004, which called for withdrawal of all remaining foreign forces from Lebanon, disbanding and disarmament of all Lebanese and non-Lebanese militias, the deployment of the Lebanese Armed Forces throughout the country, and a free and fair electoral process in the presidential election. Former Prime Minister Rafik Hariri, who had resisted Syria's effort to secure Lahoud's extension, and 22 others were assassinated in Beirut by a car bomb on February 14, 2005. The assassination spurred massive protests in Beirut and international pressure that led to the withdrawal of the remaining Syrian military troops from Lebanon on April 26. In the months that followed Hariri's assassination, journalist Samir Qassir, Lebanese politician George Hawi, and journalist Gebran Tueni were murdered by car bombs, and Defense Minister Elias Murr and journalist May Chidiac narrowly avoided a similar fate when they were targeted with car bombs. The UN International Independent Investigative Commission (UNIIIC) headed by Detlev Mehlis began an investigation of Hariri's assassination and related crimes, beginning with the October 2004 attempt to assassinate Communications Minister Marwan Hamadeh. Following the investigative groundwork laid by the UNIIIC, the official opening of the Special Tribunal for Lebanon on March 1, 2009, in The Hague marked an important step toward ending impunity for political assassinations in Lebanon. The investigation into the assassination of former Prime Minister Hariri and others remains ongoing under the leadership of chief prosecutor Daniel Bellemare. On June 30, 2011, the Tribunal handed down an indictment and arrest warrants for four alleged members of Hizballah — Salim Jamil Ayyash, Mustafa Amine Badreddine, Hussein Hassan Oneissi, and Assad Hassan Sabra — for involvement in the Hariri assassination. On August 9, 2011, Lebanese Prosecutor General Said Mirza submitted a report to the Tribunal detailing the Government of Lebanon's efforts to locate and arrest the four men, and reportedly explaining that none had yet been arrested. Parliamentary elections were held in 2005 and the anti-Syrian March 14 coalition — led by Saad Hariri, Rafik Hariri's son — won a majority of 72 seats (out of 128). Hariri ally and former Finance Minister Fouad Siniora was named Prime Minister and Nabih Berri was reelected as Speaker of Parliament. Parliament approved the first "made-in-Lebanon" cabinet in almost 30 years on July 30. The ministerial statement of the new cabinet (which included two Hizballah ministers), a summary of the new government's agenda and priorities, focused on political and economic reform, but also endorsed Hizballah's right to possess military weapons to carry out a "national resistance" against the perceived Israeli occupation of Lebanese territory. Hizballah forces continued to launch sporadic military strikes on Israeli forces, drawing responses that produced casualties on both sides. Israel continued to violate Lebanese sovereignty by conducting overflights of Lebanese territory north of the Blue Line. UNIFIL recorded numerous violations of the Blue Line by both sides following the Israeli withdrawal. In general, however, the level of violence along the Israeli-Lebanon front decreased dramatically from May 2000 until mid-2006. On July 12, 2006, Hizballah guerillas crossed into Israel, killed three Israeli soldiers, and kidnapped two others, precipitating a war with Israel. Israeli air strikes hit Hizballah positions in the south and strategic targets throughout Lebanon, and Israeli ground forces moved against Hizballah in southern Lebanon. Hizballah resisted the ground attack and fired thousands of rockets at civilian targets in Israel. By the time the war ended on August 14, an estimated 1,200 Lebanese civilians and hundreds of Hizballah fighters had died, along with 119 Israeli military and 43 Israeli civilians. UN Security Council Resolution 1701, which ended the war, provided for a ceasefire, Israeli withdrawal and lifting of blockades, disarming of Hizballah and other militias, and a ban on unauthorized weapons transfers into Lebanon. UNSCR 1701 also significantly strengthened UNIFIL's mandate and authorized its enlargement from about 2,000 up to a maximum of 15,000. Bolstered by UNIFIL, which by the beginning of 2007 had more than 11,000 personnel, the Lebanese Armed Forces (LAF) deployed to southern Lebanon and the border with Israel for the first time in almost four decades. The war temporarily or permanently displaced roughly one-quarter of Lebanon's population and caused enormous damage to homes, businesses, and infrastructure. The country, which was already seriously indebted, suffered roughly $5 billion in damages and financial losses. The international community provided massive humanitarian relief, plus substantial aid for economic reconstruction and reform, with $940 million in aid pledged at an August 31, 2006, donors conference in Stockholm and $7.6 billion in pledges announced at a Paris conference January 25, 2007. 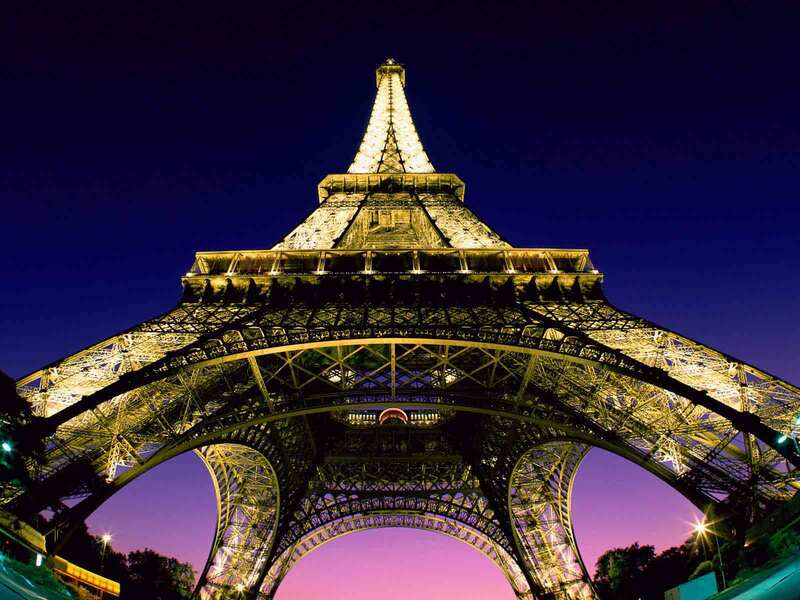 Aid pledged in Paris was to be coordinated with the Lebanese Government's program for fiscal and economic reform. Following its historic deployment to southern Lebanon, in May-September 2007, the LAF battled Sunni extremist group Fatah al-Islam in the Nahr al-Bared Palestinian refugee camp near Tripoli, winning a decisive victory, but destroying the camp and displacing approximately 30,000 Palestinian residents. The U.S. is the largest supporter of Nahr al-Bared relief and reconstruction, contributing a total of $91 million through FY 2010 toward UNRWA's 4-year $328 million emergency appeal. After a cabinet walkout by Shia ministers over the issue of the Special Tribunal for Lebanon in November 2006, Lebanon's political deadlock came to a head in 2007 when Lebanese politicians were unable to agree on a successor to President Emile Lahoud. Hizballah's takeover of west Beirut in May 2008 and resulting outbreak of violence led Lebanese leaders, with Arab League mediation, to draft the Doha Agreement. The Doha Agreement paved the way for the election of a consensus candidate as President — LAF Commander Michel Sleiman — in May 2008 and the formation of a new unity government. Parliamentary elections were held in 2009, under the new electoral law mandated by the Doha Agreement. While the new electoral law maintained the Taif Agreement's division of parliamentary seats equally between Christians and Muslims, it also divided Lebanon into 26 electoral districts and mandated that elections be held on a single day, rather than consecutive weekends. Saad Hariri's coalition secured a parliamentary majority in the 2009 elections. The new national unity cabinet headed by Prime Minister Hariri received parliament's vote of confidence on December 10, 2009, after 6 months of extensive negotiations between the majority and the opposition. As in 2005 and 2008, the new cabinet's ministerial statement focused on political and economic reform, but also endorsed Hizballah's role, along with that of the Lebanese people and army, in confronting Israeli occupation of Lebanese territory. A number of recent security incidents in south Lebanon highlight the continuing threat to Lebanon's stability and security posed by Hizballah's arms and the need for full implementation of UN Security Council Resolutions 1559, 1680, and 1701, including the disarmament of all militias, the delineation of the Lebanon-Syria border, and enforcement of the weapons-free zone. On January 12, 2011, while Prime Minister Hariri was meeting with U.S. President Barack Obama, Hizballah and its March 8 allies withdrew their ministers from Hariri's national unity cabinet over issues related to the Tribunal, thereby forcing its collapse. On January 24, President Sleiman named former Prime Minister and member of parliament Najib Mikati as Prime Minister-designate, leaving Hariri and his cabinet in caretaker status. On June 13, following several months of negotiations, Mikati announced a government that did not include any ministers from Saad Hariri's March 14 coalition, which had refused to participate. The cabinet included a majority of ministers from the Hizballah-led March 8 alliance, with a remaining "centrist bloc" of ministers aligned with Mikati, Sleiman, and Druze leader Walid Jumblatt. The Mikati cabinet received its parliamentary vote of confidence on July 7, 2011. Lebanon is a parliamentary democracy in which the people constitutionally have the right to change their government. However, from the mid-1970s until the parliamentary elections in 1992, civil war precluded the effective exercise of political rights. According to the constitution, direct elections must be held for the parliament every 4 years. Parliament, in turn, is tasked to elect a new president every 6 years. A presidential election scheduled for the autumn of 2004 was pre-empted by a parliamentary vote to extend the sitting president's term in office by 3 years. An election for a new president was held in May 2008 with the next election scheduled for 2014. Parliamentary elections were held on June 7, 2009. The president, based on binding consultations with the parliament, appoints the prime minister. While political parties are legal and may be formed, most that exist are based on sectarian interests. Since the emergence of the post-1943 state, national policy has been determined largely by a relatively restricted group of traditional regional and sectarian leaders. The 1943 national pact, an unwritten agreement that established the political foundations of modern Lebanon, allocated political power on an essentially confessional system based on the 1932 census. Until 1990, seats in parliament were divided on a six-to-five ratio of Christians to Muslims (with Druze counted as Muslims). With the Taif Agreement, the ratio changed to half and half. Senior positions in the government bureaucracy are allocated on a similar basis. Gaining political office is virtually impossible without the firm backing of a particular religious or confessional group. The pact also allocated public offices along religious lines, with the top three positions in the ruling "troika" distributed as follows:The presidency is reserved for a Maronite Christian;The prime minister is reserved for a Sunni Muslim, andThe speaker of parliament is reserved for a Shia Muslim. Efforts to alter or abolish the confessional system of allocating power have been at the center of Lebanese politics for decades. Those religious groups most favored by the 1943 formula sought to preserve it, while those who saw themselves at a disadvantage sought either to modify its demographic formula or to abolish it entirely. Nonetheless, many of the provisions of the national pact were codified in the 1989 Taif Agreement, perpetuating sectarianism as a key element of Lebanese political life. In the spring of 2011, capitalizing on the "Arab Spring" of popular uprisings throughout the region, several groups called for the "de-confessionalization" of Lebanon and an end to sectarian quotas. The groups could not agree, however, on what would replace the system and their movement lost momentum. Although moderated somewhat under Taif, constitutionally, the president has a strong and influential position. The president has the authority to promulgate laws passed by the Chamber of Deputies, to issue supplementary regulations to ensure the execution of laws, and to negotiate and ratify treaties. Lebanon's judicial system is based on the Napoleonic Code. Juries are not used in trials. The Lebanese court system has three levels — courts of first instance, courts of appeal, and the court of cassation. There also is a system of religious courts having jurisdiction over personal status matters, such as marriage, divorce, and inheritance, within particular religious communities. Lebanon maintains an embassy (http://www.lebanonembassyus.org/) in the United States at 2560 28th Street, NW, Washington, DC 20008, tel. (202) 939-6300. There also are three consulates general in the United States: 1959 East Jefferson, Suite 4A, Detroit, MI 48207, tel. (313) 567-0233/0234; 7060 Hollywood Blvd., Suite 510, Los Angeles, CA 90028, tel. (213) 467-1253/1254; and 9 East 76th Street, New York, NY 10021, tel. (212) 744-7905/7906/7985. Lebanese political institutions often play a secondary role to highly confessionalized personality-based politics. Powerful families also still play an independent role in mobilizing votes for both local and parliamentary elections. Nonetheless, a lively panoply of domestic political parties, some even predating independence, still exists. The largest are all confessionally based. The Kataeb (Phalange), National Bloc, National Liberal Party, Lebanese Forces, and Free Patriotic Movement (FPM) are overwhelmingly Christian parties. Amal and Hizballah are the main rivals for the organized Shia vote, while the PSP (Progressive Socialist Party) is the leading Druze party. In the 2005 parliamentary elections, an anti-Syrian coalition ("March 14") emerged, led by Saad Hariri's predominantly Sunni Future Movement and allied with Druze leader Jumblatt, the Qornet Shehwan coalition of center-right Christian politicians, Samir Geagea's mostly Maronite Lebanese Forces, and Elias Attallah's Democratic Left secular movement. In addition to domestic parties, there are branches of pan-Arab secular parties (Ba'ath, socialist and communist parties) that were active in the 1960s and throughout the period of civil war. Some Christians favor political and administrative decentralization of the government, with separate Muslim and Christian sectors operating within the framework of a confederation. Muslims, for the most part, prefer a unified, central government with an enhanced share of power commensurate with their larger share of the population. The trajectory of the Taif Agreement points toward a non-confessional system, but there has been no real movement in this direction in the more than two decades since Taif, though in recent years, there have been murmurings to change the agreement. Palestinian refugees, predominantly Sunni Muslims, who numbered 455,373 in 2010 according to UNRWA, are not active on the domestic political scene as they do not have the right to vote or even to reside in Lebanon. Nonetheless, they constitute an important minority whose naturalization/settlement in Lebanon is vigorously opposed by most Lebanese, who see them as a threat to Lebanon's delicate confessional balance. In 2001, parliament enacted legislation banning Palestinians from owning property in Lebanon. The Labor Ministry opened up professions previously closed to Palestinians in August 2010, but they are still barred from professions requiring association membership, including law, medicine, and engineering. The number of Iraqi refugees is approximately 15,000-20,000. Lebanon has a free-market economy and a strong laissez-faire commercial tradition. The Lebanese economy is service-oriented; main growth sectors include banking and tourism. According to the Central Bank of Lebanon, Lebanon posted 7.5% GDP real growth in 2010, with inflation running at 4.5%. There are no restrictions on foreign exchange or capital movement, and bank secrecy is strictly enforced. Lebanon has legislation to combat money laundering and terrorism finance, and joined the Kimberley Process in September 2005. There are practically no restrictions on foreign investment; however, the investment climate suffers from red tape, corruption, arbitrary licensing decisions, high taxes, tariffs, and fees, archaic legislation, and a lack of adequate protection of intellectual property. There are no country-specific U.S. trade sanctions against Lebanon. Lebanon embarked on a massive reconstruction program in 1992 to rebuild the country's physical and social infrastructure devastated by both the long civil war (1975-90) and the Israeli occupation of the south (1978-2000). In addition, the delicate social balance and the near-dissolution of central government institutions during the civil war handicapped the state as it sought to capture revenues to fund the recovery effort. Monetary stabilization coupled with high interest rate policies aggravated the debt service burden, leading to a substantial rise in budget deficits. Thus, the government accumulated significant debt, which by the end of 2010 had reached $52.6 billion, or 135% of GDP. Unemployment was estimated at 9.2% in 2007 by the Central Administration of Statistics, according to latest published data. 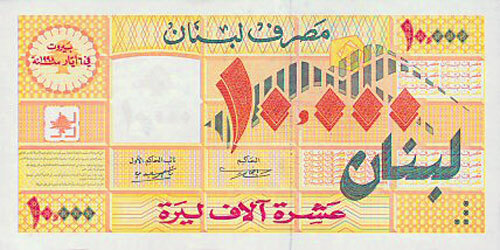 The government has maintained a firm commitment to the Lebanese pound, which has been pegged to the dollar since September 1999. The government passed an Investment Development Law as well as laws for the privatization of the telecom and the electricity sector, signed the Euro-Med Partnership Agreement with the European Union (EU) in March 2003 and the Association Agreement in 2006, and is working toward accession to the World Trade Organization (WTO). In order to increase revenues, the government introduced a 10% value added tax (VAT) that became applicable in February 2002 and a 5% tax on interest income that became applicable in February 2003. The Finance Ministry submitted additional revenue-raising measures as part of the 2009 budget. Plagued by mounting indebtedness, Lebanon submitted a comprehensive program on its financing needs at the Paris II donors conference in November 2002 and succeeded in attracting pledges totaling $4.4 billion, including $3.1 billion to support fiscal adjustment and $1.2 billion to support economic development projects. Despite the substantial aid it had received, the government made little progress on its reform program, and by 2006, even before the war between Hizballah and Israel, the debt problem had grown worse. After the war, $940 million in relief and early reconstruction aid was pledged to Lebanon August 31, 2006 at a donors conference in Stockholm, and an additional $7.6 billion in assistance for reconstruction and economic stabilization was pledged in Paris January 25, 2007 at the International Conference for Support to Lebanon, or "Paris III". Unlike the Paris II aid, much of the Paris III aid was contingent on Lebanon's meeting agreed benchmarks in implementing its proposed 5-year economic and social reform program. The International Monetary Fund (IMF) signed an Emergency Post-Conflict Assistance (EPCA) Program with Lebanon to support the Government of Lebanon's economic reform program in 2007, and a second EPCA for 2008-2009, to monitor the progress of reforms and to advise donors on the timing of aid delivery. Lebanon, with a population of approximately 3.9 million, is the 58th largest market for U.S. exports. According to Lebanese Customs, the United States exported $1.9 billion worth of goods to Lebanon in 2010 and ranked as Lebanon's number one trading partner. The top five U.S. exports to Lebanon were mineral fuel and oil, machinery, vehicles, pharmaceuticals products, and cereals. Major competitors of U.S. companies in Lebanon include French, Italian, German, British, Korean, and Chinese companies. The U.S. has neither a bilateral investment treaty (BIT) with Lebanon nor an agreement on the avoidance of double taxation. However, on December 1, 2006, the U.S. signed a Trade and Investment Framework Agreement (TIFA) with the Government of Lebanon to help promote an attractive investment climate, expand trade relations, and remove obstacles to trade and investment between the two countries. The foreign policy of Lebanon reflects its geographic location, the composition of its population, and its reliance on commerce and trade. Lebanon's foreign policy has been heavily influenced by neighboring Syria, which has also long influenced Lebanon's internal policies as well. Reflecting lingering feelings in Syria that Lebanon was unjustly separated from Syria by European powers, Syria and Lebanon have never formally agreed on their mutual boundaries. In an attempt to reduce tension and political strife that started with the February 2005 assassination of former Prime Minister Rafik Hariri and lasted until the May 25, 2008, election of President Michel Sleiman, Syrian President Asad and President Sleiman agreed to establish diplomatic relations between the two countries. On August 21, 2008, the Lebanese Council of Ministers approved the establishment of diplomatic relations with Syria. Both Lebanon and Syria have opened embassies and appointed ambassadors in Damascus and Beirut, respectively. On December 19, 2009, Prime Minister Saad Hariri made the first visit by a Lebanese Prime Minister to Damascus since the 2005 assassination of his father, former Prime Minister Rafik Hariri. The Higher Council for Bilateral Relations, first codified in May 1991 when Lebanon and Syria signed a treaty of mutual cooperation, still exists. This treaty came out of the Taif Agreement, which stipulated "Lebanon is linked to Syria by distinctive ties deriving strength from kinship, history, and common interests." The Lebanese-Syria treaty calls for "coordination and cooperation between the two countries" that would serve the "interests of the two countries within the framework of sovereignty and independence of each." Numerous agreements on political, economic, security, and judicial affairs have followed over the years. Syria maintained troops in Lebanon from 1976 until 2005. Although Syria withdrew its military forces from Lebanon in 2005, Syria continues to have a strong influence in Lebanese politics. Lebanon concluded negotiations on an association agreement with the European Union in late 2001, and both sides initialed the accord in January 2002. Lebanon also has bilateral trade agreements with several Arab states and is working toward accession to the World Trade Organization. Aside from Syria, Lebanon enjoys good relations with virtually all of the other Arab countries (despite historic tensions with Libya, the Palestinians, and Iraq), and hosted an Arab League Summit in March 2002 for the first time in more than 35 years. 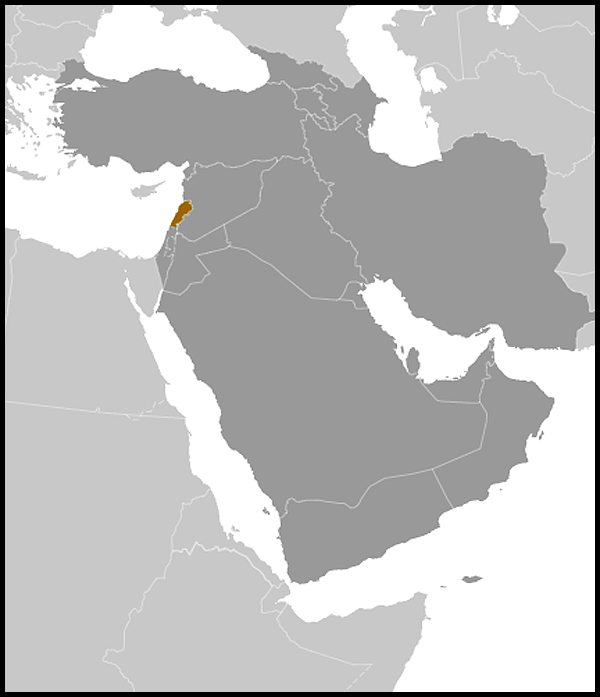 Lebanon also is a member of the Organization of Islamic Cooperation and maintains a close relationship with Iran, largely centered on Shia Muslim links. Lebanon is a member of the Francophone countries and hosted the Francophone Summit in October 2002 and the Francophone Games in 2009. The United States seeks to maintain its traditionally close ties with Lebanon, and to help preserve its independence, sovereignty, national unity, and territorial integrity. The United States, along with the international community, supports full implementation of UN Security Council Resolutions 1559, 1680 and 1701, including the disarming of all militias, delineation of the Lebanese-Syrian border, and the deployment of the Lebanese Armed Forces throughout Lebanon. The United States believes that a peaceful, prosperous, and stable Lebanon can make an important contribution to comprehensive peace in the Middle East. One measure of U.S. concern and involvement has been a program of relief, rehabilitation, and recovery that from 1975 through 2005 totaled more than $400 million in aid to Lebanon. For relief, recovery, rebuilding, and security in the wake of the 2006 war, the U.S. Government substantially stepped up this program, pledging well over $1 billion in additional assistance since 2006. This support reflects not only humanitarian concerns and historical ties but also the importance the United States attaches to sustainable development and the restoration of an independent, sovereign, unified Lebanon. Some of current funding is used to support the activities of U.S. and Lebanese private voluntary organizations engaged in rural and municipal development programs nationwide, to strengthen the Lebanese security services, and to improve the economic climate for global trade and investment. The U.S. also supports humanitarian demining and victims' assistance programs. In 1993, the U.S. resumed the International Military Education and Training program in Lebanon to help bolster the Lebanese Armed Forces — the country's only nonsectarian national institution — and reinforce the importance of civilian control of the military. Sales of excess defense articles (EDA) resumed in 1991 and have allowed the LAF to enhance both its transportation and communications capabilities, which were severely degraded during the civil war. Security assistance to both the LAF and the Internal Security Forces (ISF), representing over $500 million of the $1 billion in post-2006 assistance, increased significantly after the 2006 war, in order to support the democratically elected Government of Lebanon as it carries out the requirements of UNSCR 1701 and asserts its sovereignty over the whole of Lebanese territory. The U.S. Embassy (http://lebanon.usembassy.gov/) operates in Awkar, Lebanon (tel. 961-4-543600, 961-4-542600). In September 1989, all American officials at the U.S. Embassy in Beirut were withdrawn when safety and operation of the mission could not be guaranteed. A new U.S. Ambassador returned to Beirut in November 1990, and the Embassy has been continuously open since March 1991. In 1997, reflecting improvements in Lebanon's security climate, the United States lifted the ban it had imposed on American-citizen travel to Lebanon in 1985. The ban was replaced by a travel warning. Nonetheless, remaining security concerns continue to limit the size of the American staff and visitor access to the Embassy. All U.S. Government employees must obtain permission from the Embassy for both official and unofficial travel to Lebanon. American Citizen Services are available, and the Embassy resumed full nonimmigrant visa services in June 2003.